Full leather, hand-marbled paper used as pastedowns, Ingres flyleaves, acrylic paint edge decoration with silver foil tooling, handsewn silk endbands, blind and silver foil tooling on cover. 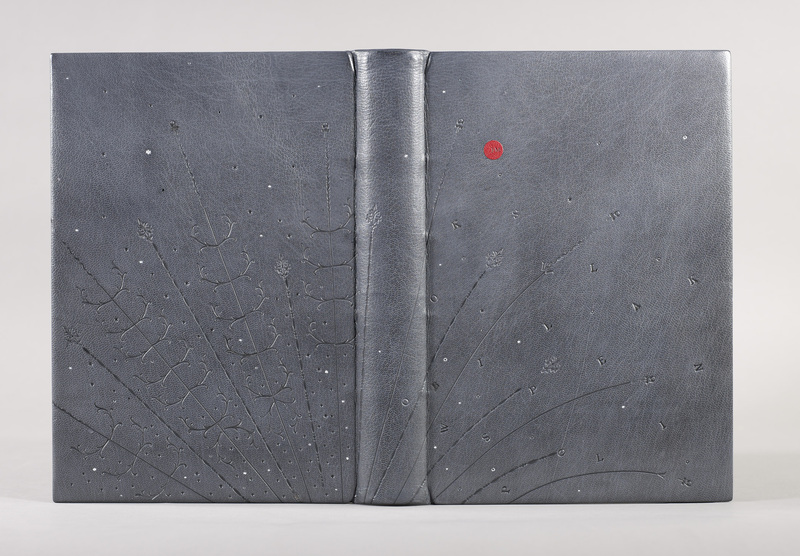 Anne McLain is a graduate of the North Bennet Street School Bookbinding program. She works as a Book Conservation Technician at the Northeast Document Conservation Center in Andover, MA.